“Each knew that he was in major respects a mirror image of the other, a realization that made it only easier to like, and to distrust, each other.” Franz Schulze, Philip Johnson: Life and Work (1994), as referenced in Architecture’s Odd Couple. 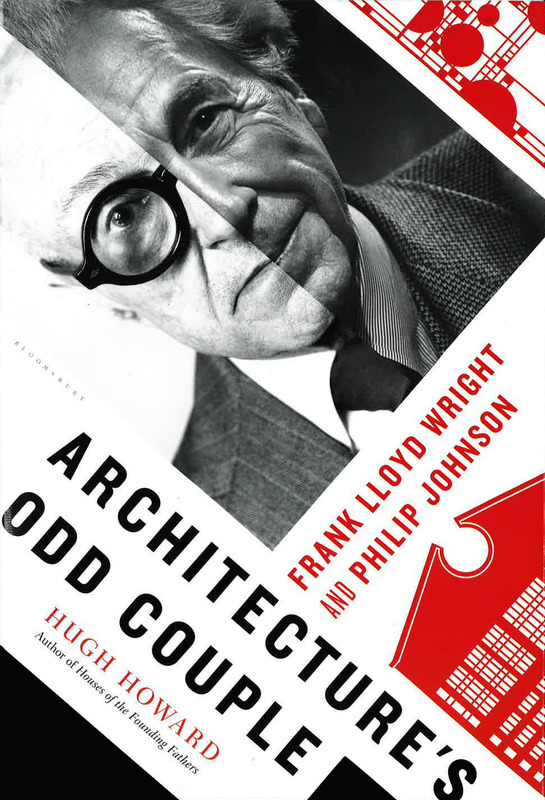 In Architecture’s Odd Couple, author Hugh Howard takes the reader on a historical journey through the tumultuous encounters between Frank Lloyd Wright and Philip Johnson from 1931 until Wright’s death in 1959. Early in the text, Howard writes, “To cite their names is to sum up architecture in the 20th century” in a seemingly egalitarian way. However, the book spends a great majority of pages discussing Wright’s works, life, and his general approach to architecture—all wrapped in the persona of Wright’s growing self-importance. Howard opens the book with the ego-centric nature of Wright dominating the storylines, and later quotes Wright as saying, “Early in life I had to choose between honest arrogance and hypocritical humility. I chose honest arrogance.” Later, Howard highlights the philosophical differences between Wright and Johnson by portraying Johnson as a tactful, yet strong force that gained notoriety by building on the work of others, namely Mies van der Rohe. Through his detailed, but not always sequential, storytelling, Howard can be hard to follow. However, his extensive use of specific historical events, architectural style exhibitions, and built projects demonstrates the influence each architect had on the other over a period of time—moving them from being steadfast rivals to respectful, competitive colleagues. This book is published by Bloomsbury Press.